Is video the way forward? It has been predicted by many PR professionals that the future of PR will involve more than just issuing a news release and that video will be one of the main new formats. I think we’ll see three types of press releases that will assist different audiences. The first is in a video format where there will be a short description followed by a link to a video giving information on the news from a company source, hitting on the five W’s and also offering sound-bites that can be used for stories or added to a news story. In fact the future is here now and 63% of businesses have already started using video as it can be a powerful tool. Video content is engaging for your audience and can ignite emotions. If your audience is engaged they are more likely to trust you. Putting a face and personality behind your message will create a personal connection with your audience and will give them more confidence to trust in you and your brand. Videos also have the ability to convey a vast amount of information in a quick and friendly manner. Search engines look for engaging content for their viewers and if you have a video on your website it will increase the likelihood of showing up on page one of Google. Your website will be 53 times more likely show up first on Google if you have a video embedded on your website. 90% of consumers watch videos on their mobile. YouTube reports mobile video consumption rises 100% every year. As you can watch videos on your phone and as mobile users are growing more and more people will engage with your message. Uploading your video to social media will attract likes, comments and shares. 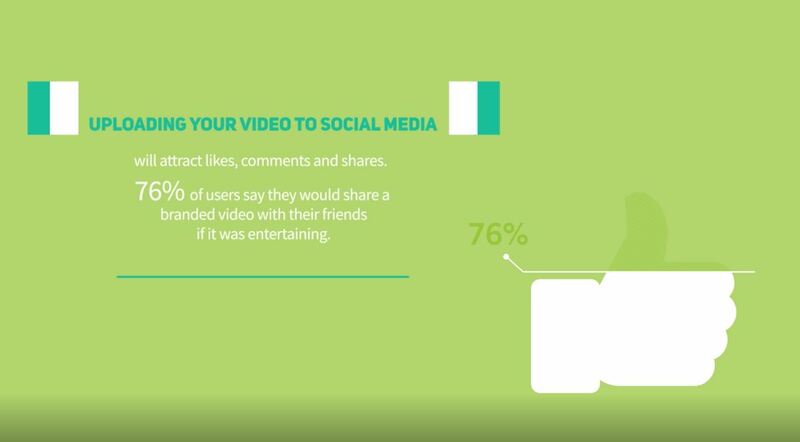 76% of users say they would share a branded video with their friends if it was entertaining. Making sure your video is interesting and fun means your video will be shareable and therefore seen by more people. With new technology constantly being developed, creating a video doesn’t have to cost you lots of money anymore. Smartphone cameras are so advanced now that you can use your phone to film your message. Videos going on social media pages don’t have to be perfect either, as long as you have a clear message told in an entertaining way then the quality doesn’t matter as much. So I’m sure you will agree, the opportunities are endless and it will definitely be worth it. Coming from a video background myself I have seen first-hand the benefits for clients when using video content on their social media pages. At Orchard PR we have a trained team that can produce industry standard content. Last year we filmed and produced 60 high quality videos on behalf of our clients with one reaching over 13k views. If you want to discover the benefits for yourself get in touch with us and we can help get you started.